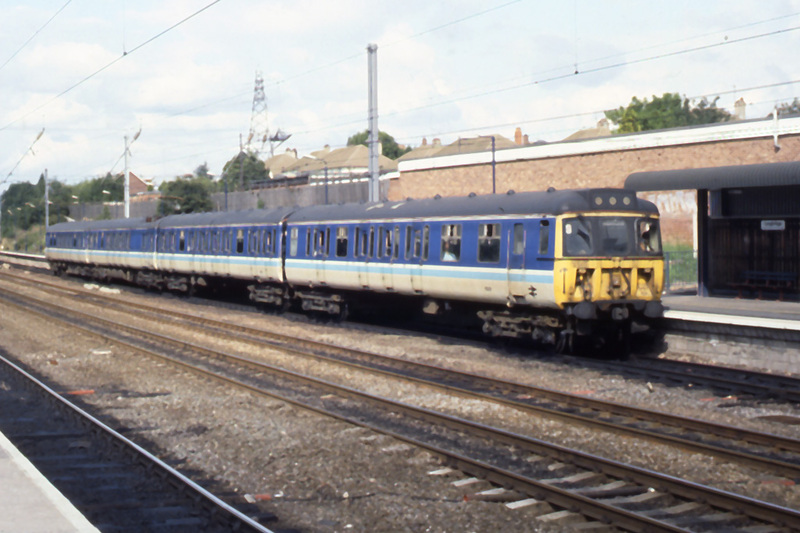 The class 310 four-car electric multiple units were built at the BR Workshops at Derby during the period from 1967 to 1967. After most of the units graduated to the south a few were retained by Bletchley depot to work services in the West Midlands. Re-designated as class 310/1 these units contained bits of various class 310 sets in seemingly random order. 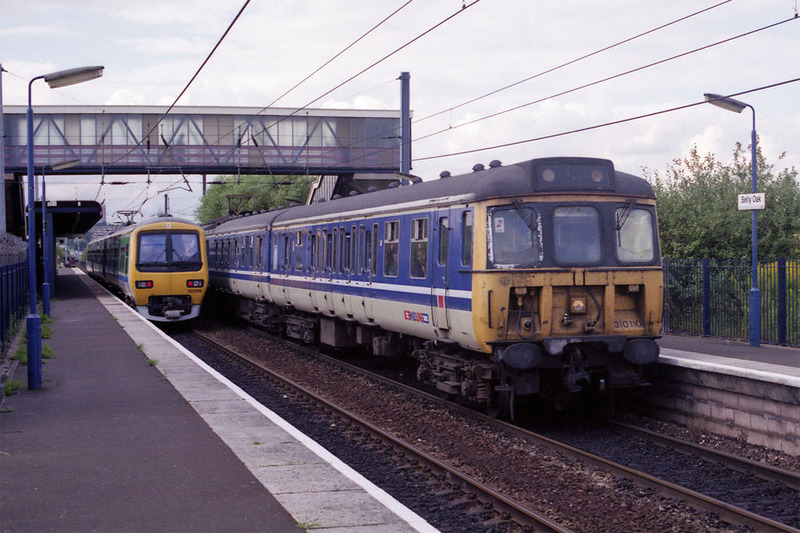 Class 310/1 four-car electric multiple units in BR Provincial livery at Longbridge on 2nd June 1993. A busy scene at Selly Oak (Warwickshire) on 5th August 1994 with class 310/1 No.310110 in a special variation of the BR Provincial livery for Midline services. In the background is class 323 three-car electric multiple unit No.323216 on a northbound service to Lichfield.